ATV & Bike Longun Bracket. 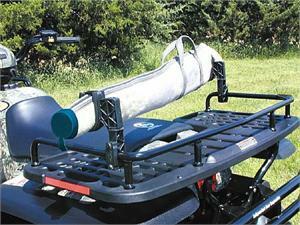 Mounts to nearly any ATV, including composite racks, round or square bars, or handlebars on motorcycles or bikes. 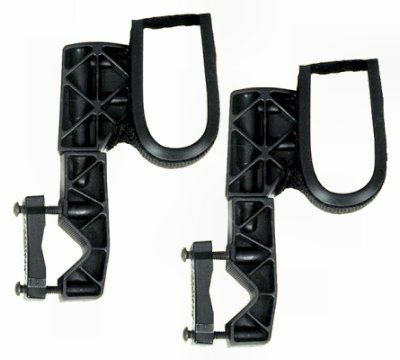 Can be used in non-parallel positions of the front or back of ATV. Indestructible nylon construction. Sold as a pair.